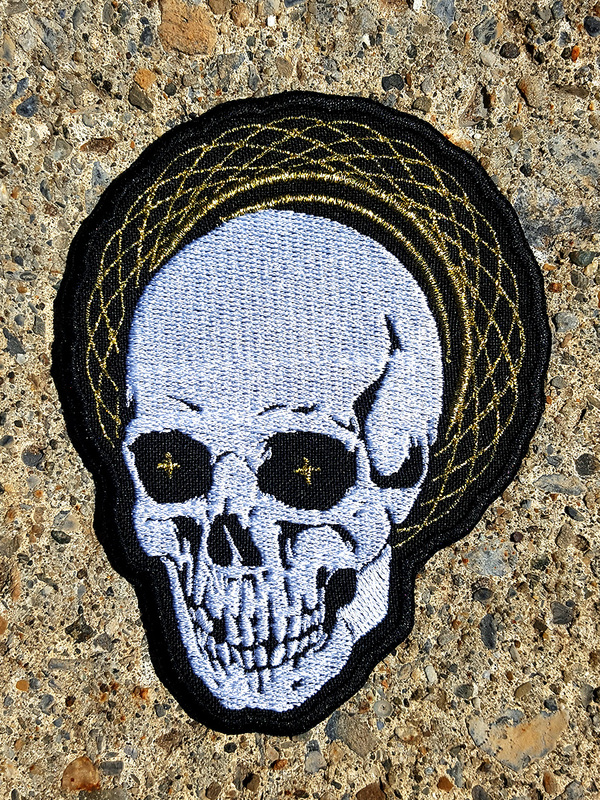 Embroidered patch of my “Halo Skull” illustration in white, black, and metallic gold thread. Measures 4.5″H x 3.25″W. Does not include iron-on glue. It’s preferable to sew it on, but you can also use fabric glue in the right situation.